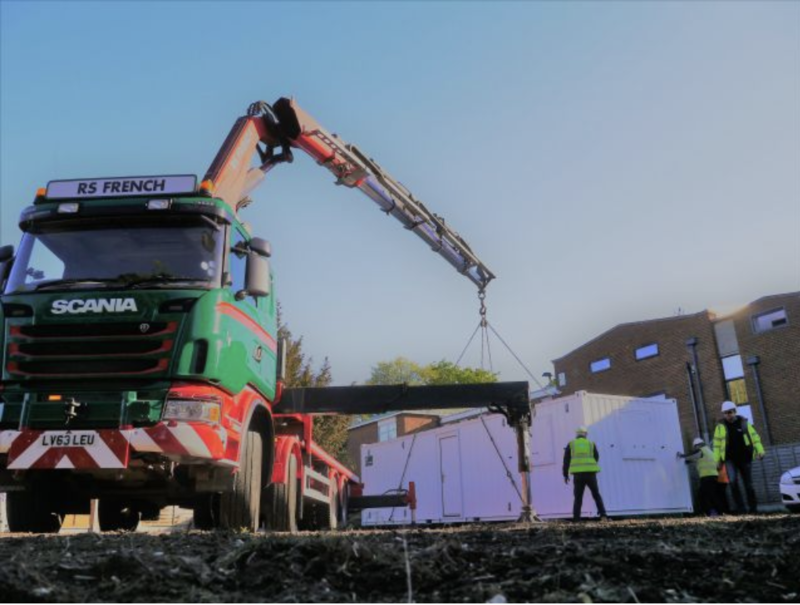 As a multi-discipline company (probably best known for the hire and sale of shipping containers) RS French often surprises many when asked what type of haulage work we get involved in. A better question would be what haven’t we lifted or transported before! 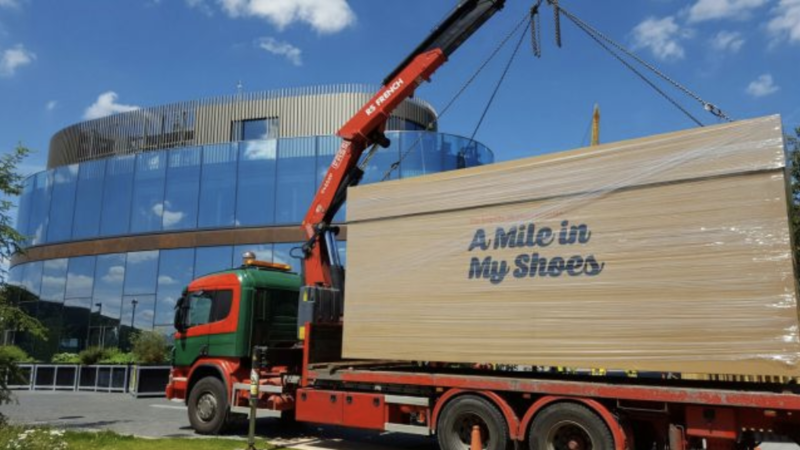 Viking boats, hot tubs, giant shoe boxes, cricket score boards, control panels, roof trusses, aeroplanes, cable drums and bridges to name but a few! With a fleet of vehicles that provide exceptional capabilities and a team of drivers/operators that are 2nd to none, it is no surprise that we find ourselves at the top of the list when our clients need Lorry or crane hire in Kent. With a fleet of vehicles that is constantly being updated and improved all the time we are very proud of the standards we keep and impressions, our clients have of us. Corporate colours, subtle branding and a regular maintenance and cleaning schedules aid the assurance that we have some of the best vehicles operating in Kent and the surrounding counties. With trust and commitment at the forefront of everything we do here at RS French we genuinely believe that if we have the fortunate opportunity to work with you it will not be a decision you regret. When talking with our customers the due diligence and skill of our drivers and crane operators is always something that comes up in conversation and Is praised. Some are almost astounded by what we can achieve when delivering to site and regularly comment on how helpful and accommodating the drivers are. We are aware that there are companies out there claiming to do what we do, but we rest assured that because we operate and stick to what we know within our industry, own and operate all of our vehicles without the use of sub-contractors and 3rd party drivers, constantly replenish and update our hire fleet and stick to the core values that have kept the business successful for over 30 years we will continue to go from strength to strength with the customers experience as our main point of focus. If you have ever been unhappy with the standards, level of service or equipment experienced elsewhere then give one of our team a call on 01227 752101 and we will try our utmost to ensure your faith in the transport and hire industry is fully restored on your next job. With the company expanding all the time and having more and more demand from customers RS French have invested in yet another lorry with crane mounted capabilities which are due for delivery October 2017. If you need something moved, lifted or craned into position then give us a call and we will be more than happy to help. As well as the fully equipped lorry fleet RS French also have quite an extensive arsenal of support vehicles. These include 3 x Land Rover Defenders for towing Mobile welfare units (Groundhogs and 12ft canteens etc.) 2 x Toilet service vehicles for removing waste from our fleet of portable chemical toilets and a service/repair van enabling our Engineer to carry out regular maintenance on our static welfare units and complete prompt repairs in the unfortunate case of site break-ins. Visit www.rsfrench.com regularly to keep up to date with the latest news and to find links to our Facebook and Twitter pages.